With three strings, the stick dulcimer can produce chords much like a ukulele or guitar, but with fewer strings to fret. 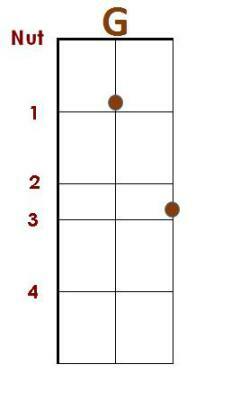 Most chords can be played in several ways, but these are good starting points. 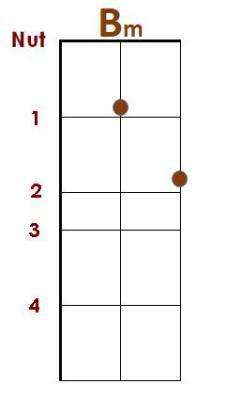 These chords (D, G, A) are the basis (in the key of D) for many songs. Adding B-minor (the relative minor) opens up many more songs. 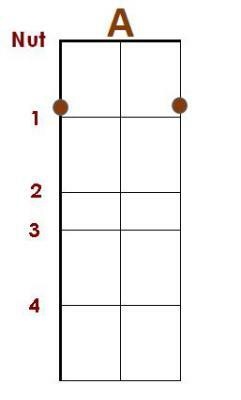 Dulcimer chords are symmetrical (for all 1-5-1 tunings), so the top and bottom strings can be interchanged in any chord pattern. The sound will be slightly different, so experiment! Since the the middle string is tuned a fifth above the bass string, power chords (chords lacking a third) are easy to play on a stick dulcimer. 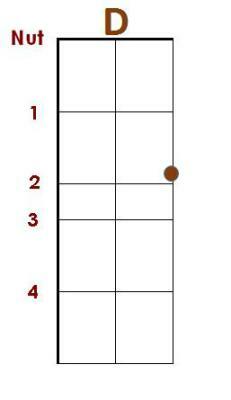 Just press all three strings with one finger across one fret (a barre chord) to create the chord. 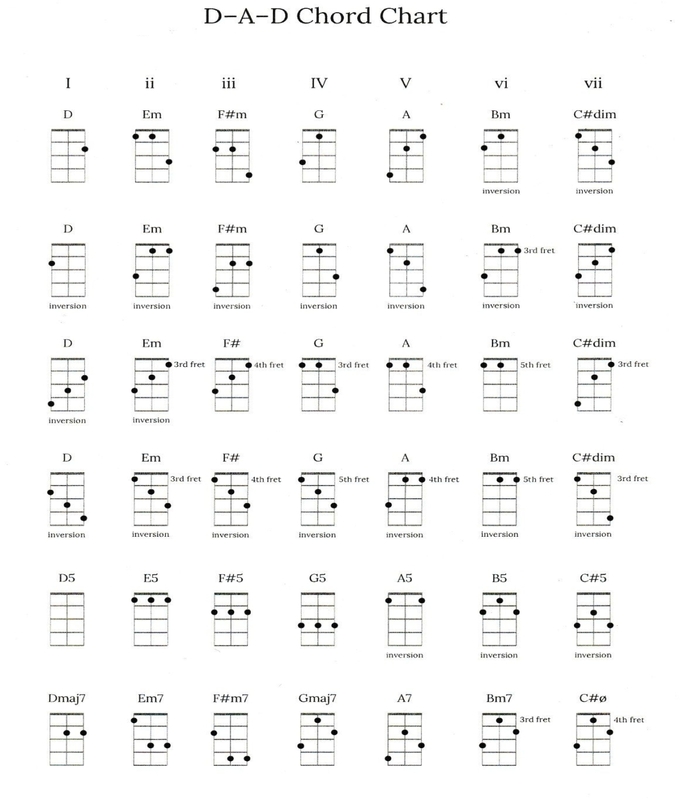 Power chords can be substituted for major or minor chords in many musical contexts. The theory is a bit murky, but it works. 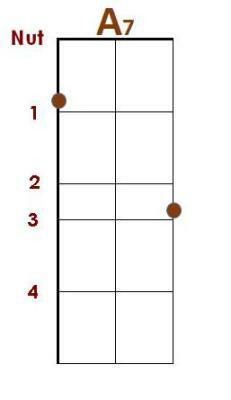 Here is a chart of the power chords available on a DAd tuned stick dulcimer. 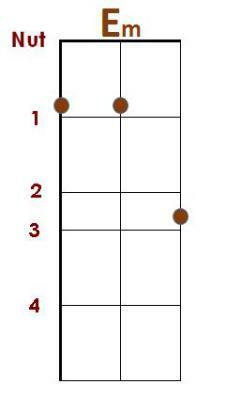 Strum with no frets engaged ("0" on the chart) to produce a D chord. Put one finger across all three strings behind fret 1 to produce an E chord, press behind fret 2 for an F# chord, and so on. 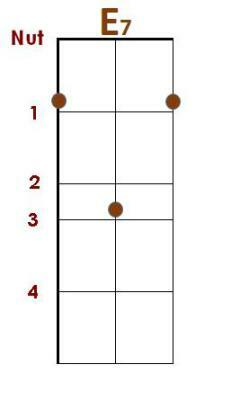 Variation: Just fret and strum the middle and high strings. 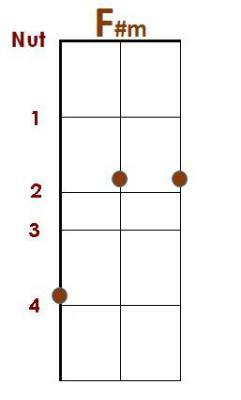 The notes/chord names repeat after fret 7.